Well it's a January barbel, but this isn't exactly what I had in mind!! Think I had better head back out next week and have a blast at catching his great-grandmother! 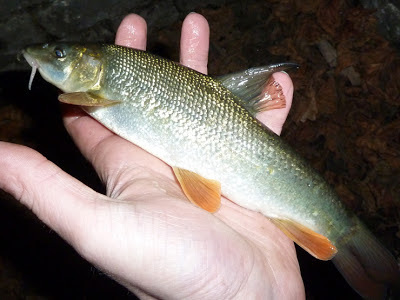 Edit: Just worked out this is my 50th barbel of the season (ranging from about 4oz to 10lb 8oz, mostly over our target-weight of 5lb though). Nice work on 50 Barbel. That seems like a great result from what seems like a tough year conditions wise.